Lots of expats living in Bangkok want to send their children to the best international school in Bangkok. That’s because their children feel at home at these types of schools being used to the language and lifestyle presented here – which usually follows a British or American curriculum. At these schools, mostly found in the Bangkok area, a wonderful programme of academic subjects are taught. Classrooms are also equipped with the latest technology to enable a child to follow their dreams. The classrooms aren’t crammed with a lot of children. This means each child gets special attention; they are helped to flourish comfortably and happily in the classroom environment. 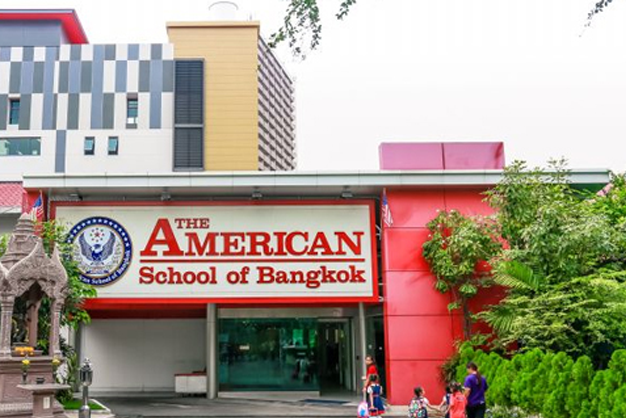 If you are looking for a school that’s ranked as of the best international schools in Bangkok, then the American School of Bangkok is such an example. Its motto, for starters, is ‘The School of Leaders’ and that’s exactly what they are committed to doing; create unique individuals who graduate from the school one day being confident, happy, responsible young adults; visionaries. What children receive from the American School of Bangkok is instruction in key academic subjects in the languages, social studies, the arts, math and science. A student here gets to pursue his or her career-dream whether it is in marketing, computers, entrepreneurship, language, music. Because this school produces strong, independent, mindful students, they are able to take part in the yearly Harvard Model Congress. This conference is noted to be the “premier government simulation for international students”. The delegates will debate on vital topics such as terrorism, alternative energy, nuclear threats, women’s health and much more. The students learn how to conduct themselves; they learn how to speak in the public arena while contending with significant issues. If you want your child to benefit from such opportunities, if you know your child has the potential to contribute as a global citizen, to be a leader and set an example, the American School of Bangkok will certainly give them that kick-start.